Another Friday and a couple more projects completed. Mary Jane slippers. I used Vanna’s Choice in green. I can see that they need a bit more refinement but they fit really well. 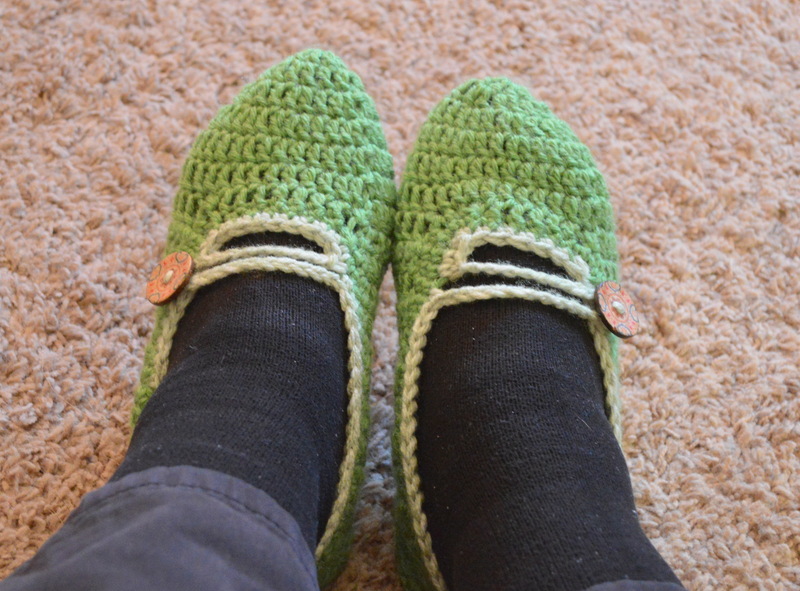 The pattern was listed in Ravelry but can be found on goodnkits blog. 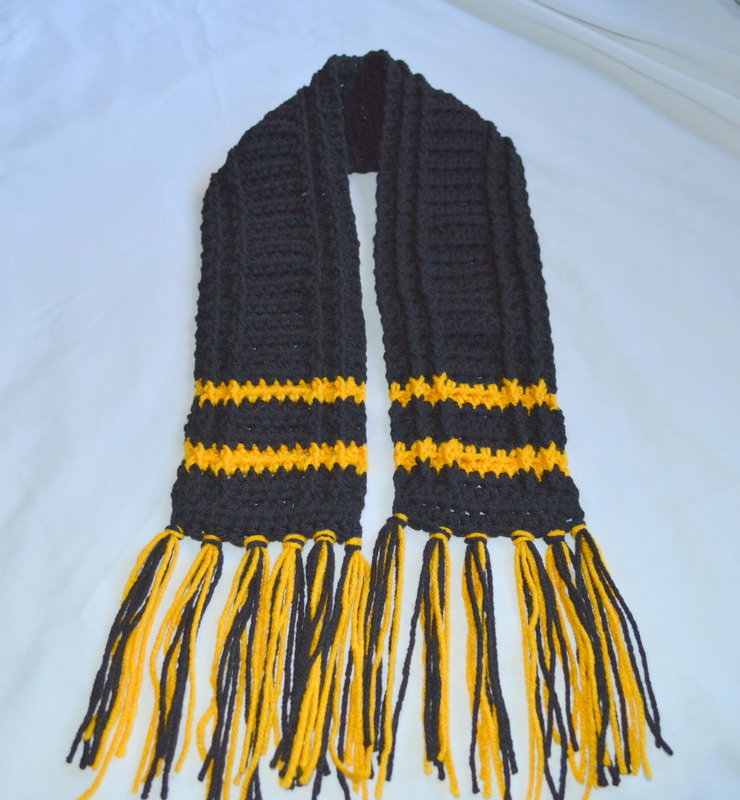 Scarf in Steeler’s colors for my grandson. This is my own design. 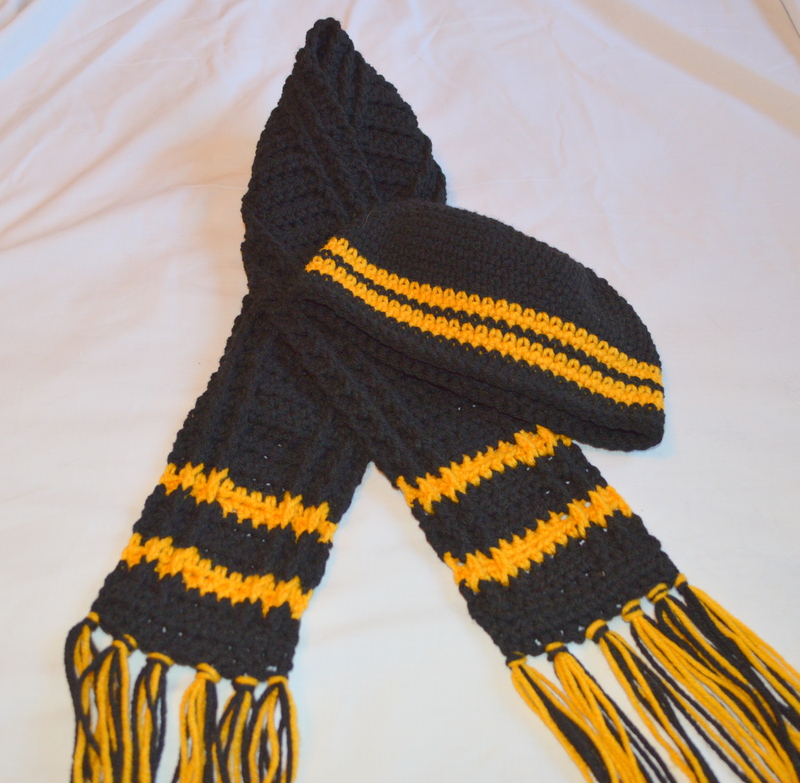 I wanted to come up with a toddler sized scarf to match his hat. It’s hdc rows with fpdc to make the ribbing. Don’t know how long a 3 year old will keep a scarf on, but hopefully long enough for my daughter to send me pictures.